When I played that one the first time, the jump was impossible. The top two platforms were almost perfectly in sync at the maximum distance. When I restarted the level the platforms were in different relative positions, and I was able to make the jump easily when they converged. I have no idea why they behave that way. It probably has something to do with the precise times they scroll on screen or something weird like that. I've seen other games fix the issue by having the platforms' travel distance be slightly different; that way they're guaranteed to meet up eventually. OK, this one had a bit more thought put into it. Keep in mind too that you can follow level creators; I'll be following any goodjer who posts a level so I can check out their levels from time to time easily. Not one of ours, but I just played "A Metroid level", ID 47D4-0000-000F-6D96 and after getting past the initial dropping platforms it was very enjoyable. Aha! Stuff does unlock earlier. I think. Dunno, got our third unlock after I reset a level and started a new one. Sounds like you need to use all the new stuff before it unlocks more. Monkey, I was probably one of them! 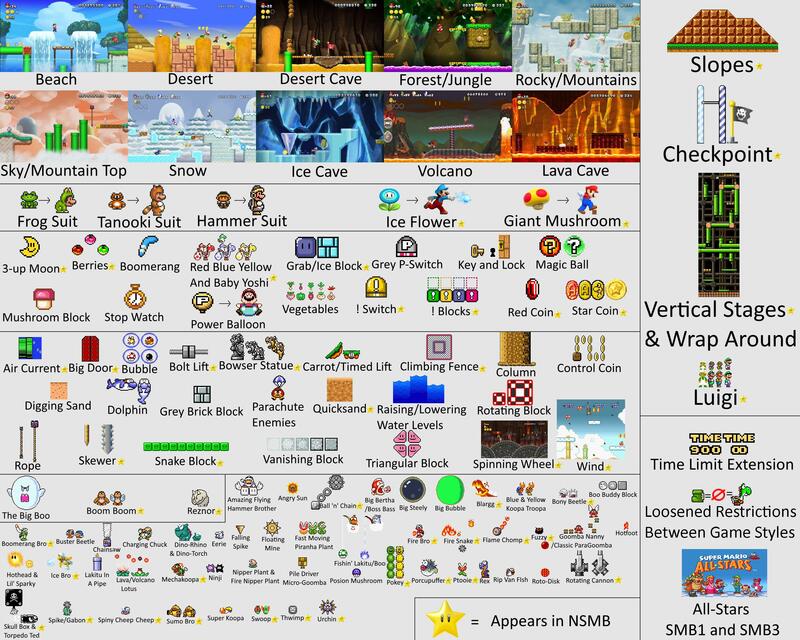 This thread has progressed too far for me to catch up on everything, but I'm definitely planning to check out some of your levels. Is there an easy way to see friends' creations? I've been so happy today to realize what I said I would do with this first - build levels that are super easy to get my 2 and a half year old playing - heck our 1 year old could play the first one. I've also been surprised at how much time and thought I've put into making these super simple levels - making sure things look right, balancing level use of space, considering alternate routes for when the little ones learn the basics (like WHOA properties of child development classes, differentiation and universal design for learning IN A VIDEO GAME I AM APPLYING MY DEGREE HERE). Yeah, type in one of each person's levels and there's a little heart icon when you go to their profile - you can 'follow' them and they'll show in in the 'Makers' list. Jaron, how far did you get in mine? You're the worst. Finally finished after 10-15 minutes of trying. Just something quick and not too difficult this morning. I've got a longer term level I'm working on that's meant to be challenging but not insanely so. I'll keep expanding this one too, I like the theme. I was really disappointed to learn you can't put spring boards on top of non-land blocks. I really wanted to have a section where you bounced off springboards on top of flying koopas. Now to play some of the ones posted here. heheheheh I'm glad you got it! I had a lot of fun throwing some things in. First: the OP has been updated with community levels up to this point now. I haven't built any tough levels yet; four uploaded levels that are trying to adhere to the spirit of the opening two worlds of Super Mario Bros (the original). They're not intended to challenge experienced Mario players, though they should be enjoyable as an homage to the original. They are intended to be completed (though not mastered) by beginning players. So far, my fiancee has been experiencing them pretty much the way I designed them; just challenging enough on an entry-player level to stymie her as she gains basic mastery of the controls and concepts, but short and easy enough that she should be able to finish them with moderate persistence. I haven't had her daughter (7-year-old) try them yet but she'll be my next test subject. I'm sure that the average currently-online Mario Maker player doesn't like my levels as they're "too easy", but hopefully I'll net the ten star-rankings it takes to unlock the next batch of 10 upload spots so they I can at least continue to share levels with the community. This game is exactly what I hoped it would be, and barring any surprises, it will easily lock in my "game of the year" vote! It is nice that everyone's courses here show up once you play one because we're all playing each others. So, is anyone going to fully reverse this thing and make the first level from Little Big Planet in Mario Maker? Maybe I will, if I can get the controller away from my daughter. Which just became harder, because I just surprised them with a Bowser and Pikachu amibos. Pretty good. I think it's a bit lacking in the peril department. 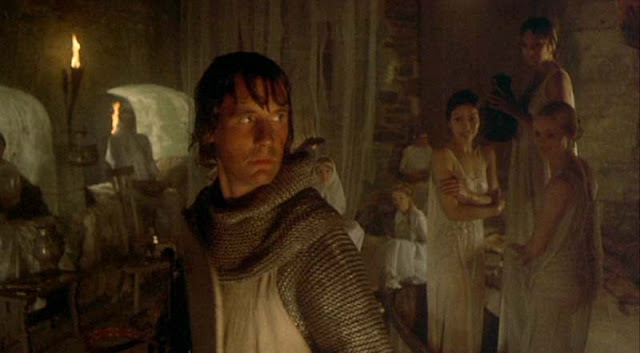 I'd rate it a Sir Galahad level of peril, I think you can raise it to a Sir Lancelot level. I've noticed this with other floating elements. It also comes up in a lot of speedruns that some games have global level timers and local screen timers. I would not be surprised if this game had some mixture of both, so depending on when/how you reach a certain area things will line up differently. I also hit the impossible jump timing on your level. This is a very weird title/experience. The tutorial level, I just gave the controller to my 7 year old. She completed it. Unlocked the 'new' WiiU looking level skin, then went straight back to 8bit. "It's easier to see what you're doing, and it's easier to play as well. I can concentrate on making it fun for Lex (younger sister) and she can see what to do. The other one looks pretty, but I like just seeing the stuff you need to do." I was conflicted by this, probably in the same way I felt conflicted when she watched Episode1 ahead of EpisodeIV (because she liked the Clone Wars cartoon), but I have to view the end result. My daughter, aged 7, is making levels for her younger sister, aged 6, using 30 year old videogame assets on a system that has no real boundaries to entry for them. They are 'just playing, and creating' and I really couldn't be happier about that than I am right now. Thank you Nintendo for blending my nostalgia with their passion for play. And a great excuse for a MP joke. So cool Monkey. Dig the stories you tell of your kids. They sound very kind and like they get along. Mine shall one day! Just seeing that levels post to Miiverse. So... Don't play my kid levels unless you have a two year old. Hahaha. They've. They've gone maximum nostalgia. I just scrapped a level I was working for around 40 minutes on. It amazes me how much time passes, but I'm pretty sure I'm over-thinking and over-complicating levels. I keep trying to make maps with two paths, where each path is supposed to represent a different experience, but it's really difficult to keep one path "the easy path" and the other "the difficult path". Plus, these maps don't climb very high. So I think I need to rethink my approach here. I'd love to implement some Mega Man X style wall-jumping acrobatics at places, but first I should probably load up some Mario games, play some levels, and think about where the joy is coming from. It's not just challenge, after all: it's also in collecting. FYI, I'm "following" all of you who put up at least one course so I can easily see the other courses you put online and play them. Even knowing what I want to do, I'm doing a lot of iterations of play-testing segments of my levels and then the levels from start to finish, trying different styles of play. It's the only way I can think of to make sure the experience of playing them is what I'm aiming for. I'm not happy yet with 1-2, but I need more unlocks to do that one right. Same with 1-3. I'm pretty close to complete with 1-1 (would like to hide a 1-up and maybe tweak a few things), and I want to do some iterating on 2-1. I can't make 1-4 until I unlock the castle motif. but first I should probably load up some Mario games, play some levels, and think about where the joy is coming from. It's not just challenge, after all: it's also in collecting. That was my internal argument for buying smb 3 at the same time as Mario Maker. Well that and it's on sale for $1 and at that price it's worth another copy just for convenience.